Trip Summary facilitates importing components from multiple sources, and works seamlessly with RezSaver. RezSaver is Vecto Technology's premier travel searching and booking engine software that integrates natively with Trip Summary. 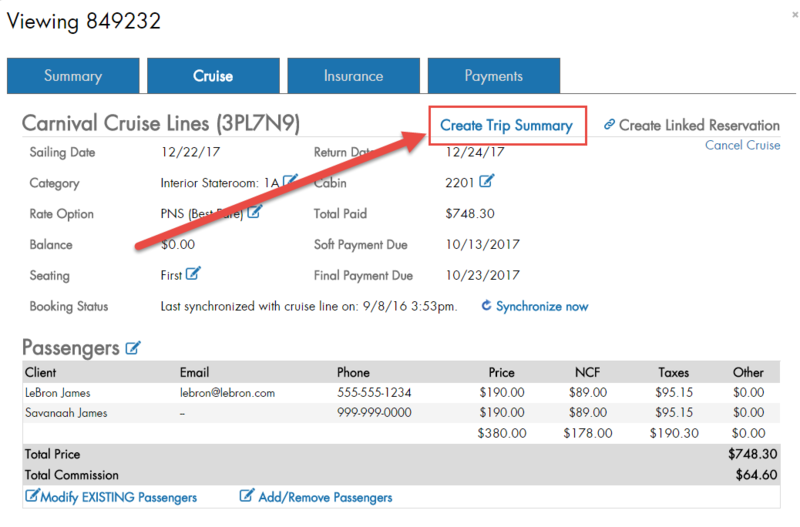 With bookings made in RezSaver, select the Create a Trip Summary option to send it directly to Trip Summary. Travel agents can even pick an existing Trip Summary or add the reservations to a new one, straight from the interface! Travel agents can also merge reservations that are combined in RezSaver, saving time!